Lavender? Does it smell good? Of course it doesn’t, literally everything smells better than lavender. Never smelled lavender before? Well, have you ever tried to write with a pen on a hot summer day just to find out it exploded all over your pocket and now your hand is covered in so much ink and it actually starts to burn now? Well smell the ink, and you will understand that that is exactly what lavender smells like. Pen Ink. Why are E-Girls obsessed with this stench? If you walk around the vibrant and story driven world that LOTC and admins like @FlamboyantNewEra have given us, you may not notice it at first. That’s okay, we’re all born ignorant of the world’s greatest problems. All it takes to open your eyes is to delve into /persona view. 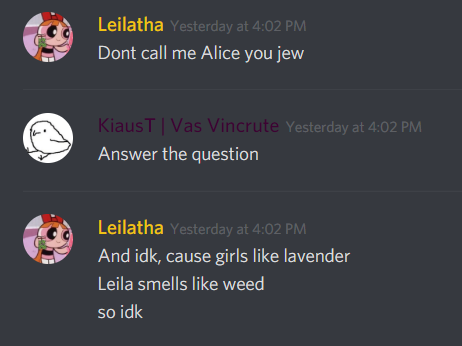 The bios of e-girls are littered with the inky stinky scent of lavender. It plagues the high elves, invades the privacy of the dark elves, and it has even made its foul way into the lands of the humans. How can this be stopped? 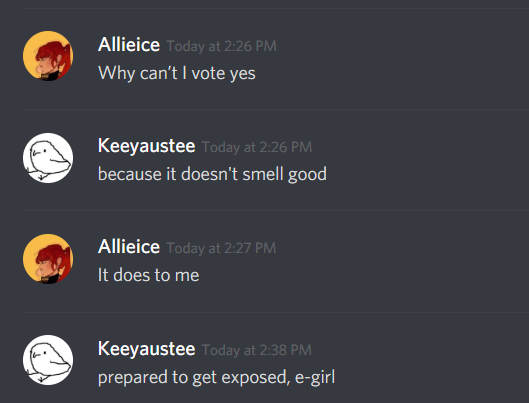 While it may be absolutely astonishing as to how such a stinky smell could be so prevalent among E-Girl culture, before I point my fingers to any demon, deity, or SCP as the cause of this delusional attitude towards the scent, I give all you E-Girls out there a chance to explain yourselves. Why are you obsessed with this nauseating smell? Who started this disgusting trend? What are you trying to gain? I’ve made effort in trying to ask the E-Girls directly, but I’ve been given very little reasoning as to why they think such a foul odor would be attractive. So I say come, E-Girls. Defend your precious lavender. The people have spoken, now it is time for you. One of the best topics i’ve seen on lotc so far. This dude, its the alpha dude of lotc. Lavender only smells good when its with something more dominating, like mint, honey, ect. 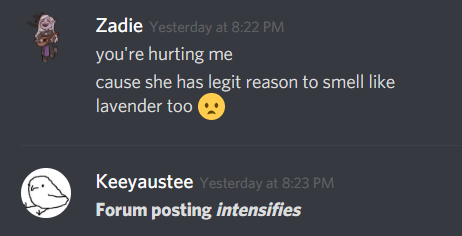 Lavender by itself is disgusting. *This post is eGirl approved. That you wrote an entire post on ******* LAVENDAR. don’t offend my people’s tastes you mongrel, we don’t need to be told the truth as long as we’re happy. Character Race: Mali'kers + Mali'aheral and Mali'ame halfbreed. lemme tell ya, you would really hate this town in southern France who has an entire festival each year on lavender.